At 7 p.m. on Nov. 5, the Sarasota County Council of Neighborhood Associations — CONA — will celebrate its 57th anniversary at Michael’s Wine Cellar, the nonprofit has announced. The event will benefit CONA and its scholarship fund, a news release says. “We will honor John McCarthy, who has served this community in many capacities over several decades,” the release adds. 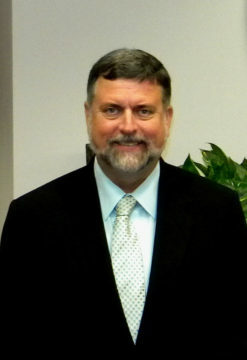 McCarthy has been involved in a wide range of activities, the release notes — from environmental issues, to parks management and historic preservation, to the gathering and interpreting of community statistical data, to serving as a guide for “memorable tours,” to presenting lectures about the history of Sarasota. “Those leading your efforts in neighborhood issues this year will be recognized also,” the release points out. The event will feature hors d’oeuvres, music, a cash bar and door prizes, the release notes. To RSVP, email cona.sarasota@gmail.com. Checks may be sent to PO Box 15788, Sarasota, FL, or people may use PayPal, the release adds. “CONA has been the collective voice for homeowner and condominium associations, neighborhoods, and residents of Sarasota County for fifty-seven years,” the release explains. “CONA charges its member organizations very low dues, $50, and everyone who is a member of [those associations] is included in that organizational membership,” the release points out. “The associations keep their members informed about our activities, meetings, and programs by forwarding our announcements to their distribution lists and they send representatives to participate in our meetings,” the release says. Many individuals elect to join [CONA] in order to support our efforts even if their association has a membership,” the release continues. Individual members receive meeting notices directly. All those purchasing tickets for the anniversary celebration have the option of adding a free individual CONA membership for 2018 (value of $30), the release points out. For more information about CONA, visit www.conasarasota.org/meetings.html.